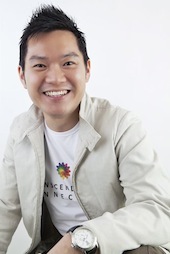 John Wong C W is the author of Awaken Your Healing Power. is the founder of Transcendental Connection â a simple, universal self-awakening and self-healing process, which anyone can learn and benefit from. He has coached a significant number of people in the art of self-awakening and accountability, aiding them in the recovery of their health and spiritual well-being. He holds a degree in molecular genetics and he was trained in mass spectrometry and bio-safety in the USA. He is currently completing his PhD in metaphysical counseling. As a metaphysician, he offers a voluntary sharing of his experiences to the terminally ill or those whose illness has been deemed incurable. With them, he advocates self-healing awareness and the development of a healing connection, to compliment the mainstream treatments they are receiving. He is a strong believer in psychosomatic sciences and Quantum Energy Theory, which theorizes that the body can spontaneously heal itself. He counsels on a voluntary basis with a number of non-profit organizations and some hospitals (by referral only). His work is non-religious and nonsectarian. Instead, it focuses on the future of scientific discovery, as well as the progress of spiritual science. John is a director of the National Neurological Foundation (Singapore) and is a frequent speaker on the latest insights and trends on food, water and environmental safety, as well as cosmetology (especially where mass spectrometry is concerned). He is a USA-certified NLP practitioner and practices energy healing. Together with other prominent scientists, he is also one of the founding executive board members of the Singapore Society for Mass Spectrometry (SSMS).